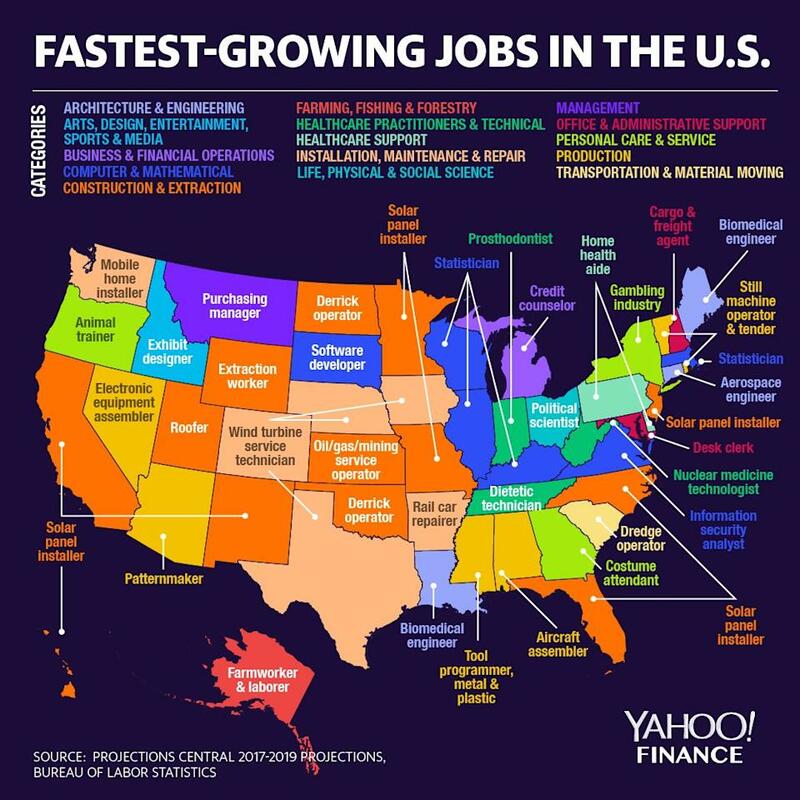 In Tuesday’s Newsletter we noted that, according to the Bureau of Labor Statistics, the fastest-growing job across eight U.S. states is solar panel installation with a median annual salary $34,490 as of 2017. Those states were: California, Hawaii, New Mexico, Florida, North Carolina, Missouri, Minnesota, and New Jersey. Statisticians, earning an average $84,060, are the fastest growing — as opposed to the most plentiful — in four. Those being Wisconsin, Illinois, Kentucky, and Massachusetts. Farming is on the upswing in Alaska, while animal trainers are in demand in Oregon. Big picture: The unemployment rate rose slightly to 4.0% in January 2019, while the labor force participation rate hit its highest mark since 2013. Overall, the report indicated that the U.S. labor market is still chugging along.